Sucker Punch has been featured by Billboard as one of the Most Anticipated Albums of 2019 and the latest single to be lifted from the record, Don’t Feel Like Crying, has already been her biggest radio launch to date. The track earned Sigrid a spot as Scott Mills’ BBC Radio 1 Tune Of The Week and Arjan Timmerman’s Apple Music #BopOfTheWeek immediately after its release as well as making it to #3 on Spotify’s The Pop List. Don’t Feel Like Crying follows directly on from the album’s title track, which helped Sigrid to performances on Jools Holland and the Jonathan Ross Show and amassed over 7m YouTube views. Last Friday, the team at Island set up a pre-release album showcase at O’Meara, inviting friends and fans to watch a Q&A and performance of five unheard tracks from the album. Guests could get involved by creating their own Don’t Feel Like Crying single covers, personalized tote bags and pin badges. 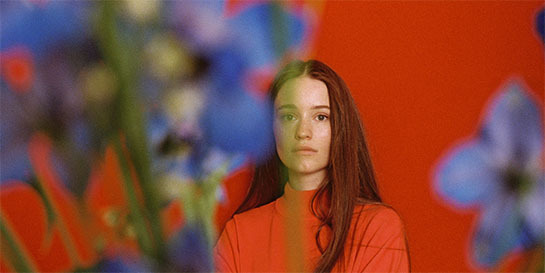 Island also pulled together a Vevo LIFT campaign where Sigrid gives a stripped back performance of Don’t Feel Like Crying and chats about song writing and her vision of the future, whilst Studio Island produced a thumb-stopping creative that broke the fourth wall. After performing at various music festivals and events in 2018, not forgetting her headline show at O2 Academy Brixton at the end of last year, Sigrid will venture on the biggest support of her career with George Ezra in March, a tour that includes two dates at London’s O2 Arena.